This April is Parkinson’s disease Awareness Month and for the 60,000 people who will be diagnosed this year, this diagnoses brings with it a lot of misunderstanding. While Michael J. Fox has brought much awareness to the disease since he made his condition public in 1998 (he was diagnosed in 1991), there still lingers much uncertainty about Parkinson’s disease. It’s a sad reality for nearly one million Americans living with Parkinson’s disease, including the estimated 24,000 living in North Carolina. And it’s far more than hand tremors. In fact, some people with Parkinson’s don’t even have tremors. Because Parkinson’s disease isn’t diagnosed through a blood test, misdiagnoses are common. Yet, it’s the second most common neurological disease, right behind Alzheimer’s. At-rest tremors are the most well-known sign of PD, but not all tremors are caused by Parkinson’s disease. Masked face is a common indicator of PD and is one of the primary reasons PD patients withdraw. People assume their serious, almost blank look is indicative of anger, depression, or even drunkenness – not realizing that it’s a side effect of PD. A soft or low voice becomes common in PD patients; they are often not even aware that they are speaking so softly and grow frustrated when other people can’t hear them. Loss of smell is common for PD patients and may impact taste buds when foods can no longer be smelled. Stiffness in body, arms, and legs are indicators of PD and create problems for patients who are trying to move or walk. A change in handwriting seems an odd diagnosis, but for PD patients, their handwriting often becomes smaller, with letters crowded together. Troubled sleep is an indicator of PD, especially with jerky movements, and dreams that are acted out. PD patients often have trouble determining if dream experiences are real or not. Dizziness or fainting may occur in PD patients, especially as they sit down or stand up. Constipation is a problem for PD patients, especially when they succumb to sitting still and do not invest in movement. Stooping, hunching over, leaning, and slouching are all side effects of PD. While many of these indicators are vague and can mean a lot of things, for those who have multiple signs, they should schedule an appointment with their doctor. And Diana knows better than anyone. Her husband was diagnosed with Parkinson’s disease in 2006, and she understands first-hand the hardships that PD patients face, as well as the challenges their caregivers experience. 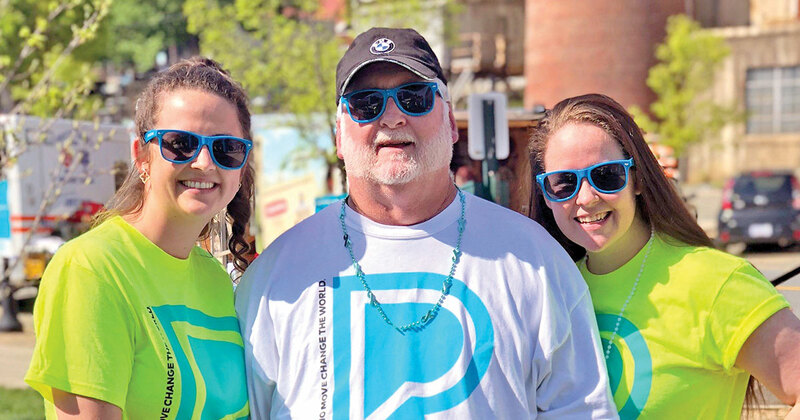 The Parkinson’s Foundation offers many resources for the Parkinson’s community. Call 1.800.4PD.INFO (1.800.473.4636) to learn more, including details about local resources. Contact Community Development Manager, Diana Parrish, to donate or learn more about Moving Day Winston-Salem at 919.241.8888 or email DParrish@Parkinson.org to learn more. People who move change the world. Contact Diana Parrish to register.